If you’ve ever done a search for workout equipment, you already know how many different kinds of equipment there are. Treadmills come is all sizes, types, and models and they also come with an array of features that include anything from heart rate monitors to simulators that can give a workout that rivals being outside on a mountain trail. The different styles and types of treadmills are extremely large and trying to figure out which one will work the best for your needs can be overwhelming. We’ve compiled all the information you need to narrow down your choices and find a treadmill that will fit exactly what you need and want. Trying to figure out which one you will like the best can be frustrating but we have made that easier with this treadmill review by giving you detailed information on three of the top treadmills on the market today. These three treadmills are in the top ten lists on many review sites. We give you the information that will tell you what these treadmill’s features are that make them consumer favorites, you will learn what consumers who have bought these treadmills think of them and what they can provide for you. You’ll get an excellent workout with the Proform Pro 2000 Treadmill. It has a commercial grade motor with a 3.25 CHP that gives incredible power with every workout. The digital controls allow you to adjust your speed and incline for variety and personalization. A wireless chest strap helps users stay in their target zone and the spacious 20 x 60 running platform gives you ample room to really stretch out your stride. Additional pluses of this great treadmill include access to a vast amount of workouts that have been created by certified personal trainers. You can also map your route with Google maps and even compete with your friends. Daily progress can be tracked with the backlit display that gives access to 32 workout apps, as well as your QuickSpeed, Quick Incline and Quick Decline controls. One of the surprising and appealing benefits to the Sole Fitness F80 Folding Treadmill is the Cushion Flex Whisper Deck that reduces impact up to 40 percent compared to running on asphalt. The powerful 3.0 HP motor delivers speeds all the way up to 12 mph and can reach an incline of 15%. Lock the deck up safely when you’re not using it by lifting it up and locking it into place and is 100% secure. The large stop watch switch, the starting speed of .5 mph and other features such as cooling fans, incline controls, speed controls and built in speakers that you can hook up an MP3 player or iPod to are additional favorites that make this a top selling treadmill. The LED display includes a message board that provides a place for clear instructions and feedback. This includes speed, calories, distance, time, incline, pulse and pace. 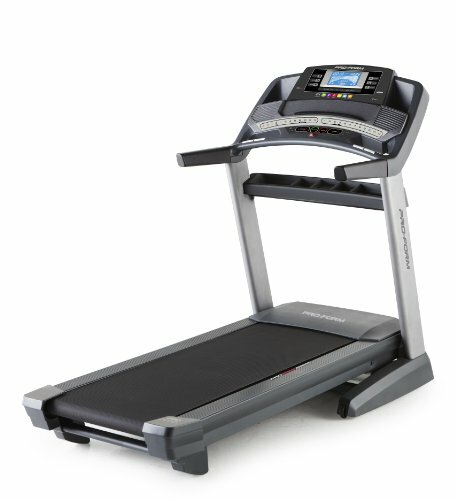 This folding treadmill has tons of great features that allow you to walk, jog or run right in your own home with ease. The safe handlebar controls are convenient and easy to use and safely allow you to change the speed and incline without having to take your hands off the handlebars. No more worries about losing your momentum or focus or even balance just to change speeds. The 2.5 hp motor, 2 ½” front rollers and large 20 x 56 running surface supports up to 300 pounds easily. Another positive feature of the Lifespan TR 1200i is that it will save your exercise data so you can keep track of it. You can even upload it to your very own Lifespan Fitness Club account that also provides exercise programs and reports of your exercise and health results from your efforts. The LED display keeps track of your calories burned, distance, steps, heart rate, speed, time and incline level. It also has 17 preset workouts that provide variety and prevent exercise boredom. Another amazing feature of this treadmill is that it offers two “My Zone” heart rate control programs and two more that you can customize. These unique programs allow the user to program minimum and maximum heart rate targets and then the treadmill adjusts your speed and inclines accordingly to keep you within your heart rate goals. In addition it folds for easier storage when not in use. Our goal is to help you sort through the huge variety of treadmills that are available and learn what the most important features are so you can make an educated decision and get a treadmill that you will not only love but continue to use. You won’t have to go from site to site looking for the right information you can get it all here, in one place. This treadmill review can save you time, energy and money and make the process of choosing the right treadmill much more enjoyable. Treadmills are highly popular pieces of cardio exercise equipment that people purchase so they can work out regardless of time of day or night or the weather conditions. Now more than ever people have crazy work schedules, and this is why treadmills are more in demand than ever. Instead of trying to fit a workout in between the hours that it is daylight or not raining or when you’re not at work, you can literally work out whenever you want to, even if it’s midnight. It is also much better on the joints than the impact of sidewalks which means you can avoid injury or long term damage. There are so many treadmills on the market today. Some are simple in design and features and offer just the basics and others are so high tech and advanced it might feel like you’re running and walking on something from the future. They also come in a variety of sizes that can fit every space allotment that you might be dealing with. There are several things that anyone looking to purchase a treadmill needs to consider BEFORE they get started looking. These are things that will help you make the perfect choice for what your needs are and will ensure that the treadmill you purchase will fit your needs, wants, budget and goals accurately. Treadmills are not a cheap investment, so taking the time to follow the steps and ask the questions we’ve outlined below will keep you from making a mistake in the type of treadmill you choose. Who will be using the Treadmill? Who is going to be using the treadmill is an important question to have the answer to because you want to purchase one that will accommodate the needs of ALL of the users and not just one or two. If you have two people with different weights, such as 150 pounds and 225 pounds, you don’t want to buy a treadmill that has a 200 pound limit. Under buying can cause frustration for the person who weighs 225 because the treadmill will not perform the way it needs to. It can also break down and wear out if it is consistently used above the weight recommendations. Do Your Research – When you start looking around for treadmills, be sure to use the information that you will read in this guide for starters. We will give you everything that is important to consider when it comes to finding the right treadmill. Research is crucial and the information provided here can give you a lot of insight to what makes a treadmill a winner and also give you the education on whether it will work for what you need. It’s easy to find the top rated brand names in treadmills. We’ve even provided reviews on three of the top rated treadmills on the market currently so be sure to take a look at why they’re such favorites and what customers are saying about them. What Kind of Support does the Company Offer? – Different manufacturers will offer different levels of support for their treadmills. When buying something that is more expensive, it is important to know the type of customer support, warranties and guarantees they offer. Also make sure you understand how those warranties work and what they cover. Test the Models if You Can – A consumer can get a great deal on treadmills online, so if you’re going to purchase one this way to get a better deal financially, see if there is a way for you to test out the same kind of equipment in a store that sells them or even a fitness center that may have them in their gym. By being able to check out a few different styles in person you can narrow down your choices even more and really get an idea of what they feel like to use. If you don’t have the opportunity to check them out in person, read the reviews available on them and the customer reviews to glean as much information about the different models as possible. There are several features that you want to be a definite on the treadmill you purchase. These are all features that ensure your treadmill gives you a lot of options for fitness results and also can be the difference between a treadmill that wears out after a short time and one that stands the test of time. With the right care, the right foundation in terms of motor strength and durability and size range, your treadmill could easily last years. Easy to read screen with a large digital readout- Make sure that the console is easy to navigate. The buttons need to be laid out in a way that makes sense and that is easy for you to use when you are in the middle of a workout. The digital screen should be easy to see as well. Lighted readouts are even better. 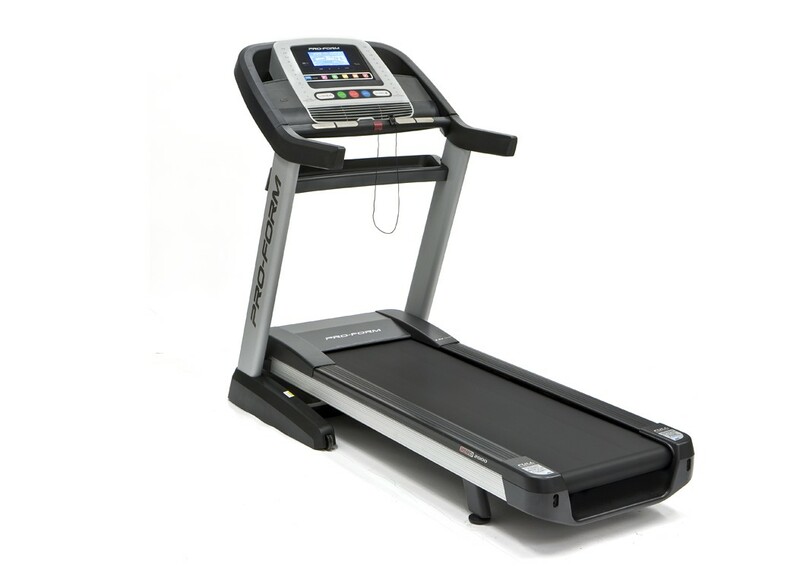 Stable and Strong Shocks – When you walk, run or jog on a treadmill you don’t want it to be rigid and stiff but you don’t want to feel like your jogging on a trampoline either. Soft, spongy treadmill running platforms can cause knee injuries and they are prone to wearing out quickly. A lot of the better treadmills will have research-based evidence that about their particular cushioning system and why it is successful. Some can even site proof that they are better for your joints than traditional treadmill running platforms that may have less superior platforms with weaker shock systems. Useful Electronic Features – Treadmills have a vast array of electronic features that vary from model to model. Some of them can look as complicated as an aircraft control panel and others are simple in the extreme. There are some electronic features that that can really enhance your entire treadmill workout and those are the ones that you want your treadmill to have. 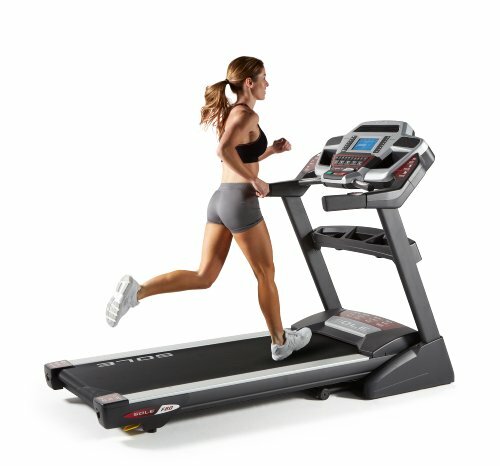 You want the features of your treadmill to motivate you to use the programs offered, interact with the treadmill with things data collection, specific workout programs that take you from warm up to cool down, and readouts that can track heart rate, calories burned, incline level, speed, distance traveled and more. Some treadmills have the ability to hook up to software and do all kinds of things including imputing different user IDs for the different users of the treadmill so individual programs can be assigned and kept track of. The features are pretty varied and which ones you want are matters of personal preference. Just be sure to get those features that really appeal to you as more than just a passing novelty. A Strong Motor is Important – The motor in your treadmill is important because it ultimately determines the strength of your treadmill and can go a long way towards the durability it has. Bigger doesn’t necessarily mean it’s the best treadmill for you. Look at things like whether it is a continuous duty hp motor, and also check out the cooling mechanism it has. A cooling mechanism reduces the heat on the motor which allows it to last longer. The best thing to do is look at the motorized system of the treadmill as a whole rather than just isolated parts to ensure all the parts complement each other in power and durability and that they work together to extend the life of the treadmill. It is not imperative that a user “run” on a treadmill. They can be excellent low impact pieces of equipment for just doing walking workouts and the benefits can still be extensive. Regular use of the treadmill can help users burn off calories, improve their cardiovascular health, build endurance, gain strength, lose fat, and be a great training tool for marathons and runs. It is these great health benefits that have contributed to the high demand and popularity that treadmills have and continue to have. This popularity has encouraged more models, accessories, features, designs and functions of today’s treadmills. 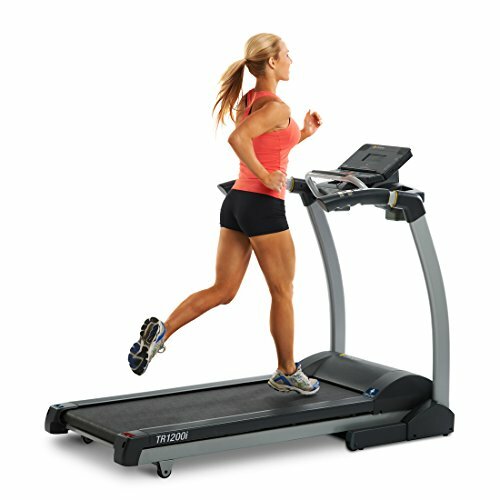 While there are many different styles and models of treadmills, there are two basic types: motorized and manual. The majority of users who buy a treadmill are looking at buying a motorized model. Manual models were popular when treadmills first came onto the scene decades ago. The manual treadmill quickly lost favor with many once the motorized varieties came out. Below are some basic pros and cons between manual and motorized treadmills. Manual – Manual treadmills can be beneficial for those who rarely use them. They are easy to store and lightweight and are also much more inexpensive than motorized models. They are limited in use and to get the rollers moving, the user must run. These are not suited to those wanting a walking only routine and result in less of a workout and reduced calorie burn as well. Motorized – Motorized treadmills are the more popular of the two types of treadmills. Users can design and implement a superior exercise regimen that is not at the mercy of weather. The smooth, motorized motors enable the user to have a steady pace and also come equipped with the ability to change speeds in walking, jogging and running. Although they are much heavier than their manual counterparts and less portable as well, there are some that enable the user to store them easily with features like lift up and lock treadmill platforms and more. A few of the drawbacks to a motorized treadmill is that they can require maintenance and replacement parts at times, and they are also much more expensive. Motor – When looking at the motor of a treadmill, pay attention to the horsepower and make sure that it states that it is a continuous duty motor. It can range anywhere from 1hp to 3 hp. If it talks about high peak performance, this isn’t necessarily a factor due to the fact that it can show maximum power rather than continuous power. Maximum power can only be delivered for short periods of time and is not a good indication of the true long term, lasting power of your treadmill. Make sure that the treadmill has a good motor warranty. Belt – The belt of your treadmill is the part that keeps the user in a stationary position while walking or running. Belts can wear out over time and may need to be replaced. They can be either double ply or single ply depending on the model and manufacturer. Double ply is going to be the more durable of the two choices. Belts also range in with from 15 ¾” to 22” wide. The wider a belt is the more it will compensate for the user’s natural side to side movement. You also want to get a belt that has a good length as this provides a lot of room for the user to walk with a normal stride and not have to unnaturally shorten it. Deck – The deck of your treadmill is directly under the belt and is the part of your treadmill that the walking and running is done on. If there is a lot of friction between the belt and the deck, the deck will wear out faster and need to be replaced. It is also what affects the feel of the treadmill when you walk or run on it and affects the level of cushioning your treadmill has as well. Decks usually range from 47 ¼” to 67” long. The longer it is the more space the user has to walk, jog and run naturally. Control Panel – Your control console should be easy to reach during exercise and be easy to use as well. Speed and incline are the two functions that will be used most often so they should be easily accessible. Some things to look for are the option to choose from a number of pre-programmed workouts as well as being able to customize your own. Incline – Having a power incline is extremely beneficial and convenient when it comes to getting the most out of your workout. The incline function allows some variety to the workout and enables the users to engage different muscles as well. Some of the top rated models even have decline functions which are not as common but add a new level of muscles that can be engaged during the workout. Most home treadmills can go from 0% incline to 15% incline. If it is a commercial model you may be able to go u to 25%. Motorized treadmills allow the users to change the level of incline up or down during the workout without having to stop moving. Heart Rate Monitoring – The heart rate feature is a popular one and used frequently by users. It is a great safety feature to help the user be aware of their heart rate before, during and after the workout. Since overdoing it can be detrimental to the user’s health, utilizing the heart rate monitor can ensure that the target heart rate is not exceeded unsafely. The preferred and most accurate method of monitoring the heart rate is the chest strap model. Finger monitoring can come loose and hand grip models may not be as accurate or consistent. Which Treadmill is the Best for Your Needs? There are some basic guidelines that you can follow when it comes to choosing the best treadmill for your fitness needs and goals. Motor – If you are just going to be walking on the treadmill a motor with an hp of 1.5 to 3.0 should be sufficient to get the job done. Since you may want to start running later on as fitness levels increase, you will be better off opting for the 2.0 hp motor. If you do a lot of running, that will put much more stress on the treadmill, especially if there will be frequent running using the incline function. For running users, look for a motor that has a continuous duty rating of 2.0 hp or higher. 2.5 hp to 3 hp continuous duty motors are even better and provide smoother workouts. They also extend the motor life. Belt – Look for a belt of at least 18” wide. Look for a high quality belt that is made with durable materials so you do not have to continually replace it. Treadmill Deck – Look for a deck that is made from composite wood or that is a synthetic deck. Either of these is suitable for treadmills where the user will be running or walking. You should look for reversible decks if the treadmill offers it. Reversible decks last longer. Lubricated pr pre-treated decks also last longer due to the friction being decreased on the belt and deck and also the reduction of the load on the motor. Control Console – If you are just walking, the control console can include just the distance travelled, the speed that the user is walking at, the average speed walked the current pace and average pace. If a lot of running is done on the treadmill make sure that the following readouts are possible which include those listed above plus heart rate, and time elapsed. Also be sure that the control console doesn’t block the user from being able to see the TV which comes in handy for extended time workouts. Incline – Users that just walk can also utilize the incline and add some intensity to their workouts. For walking, ensure that the treadmill can handle an incline of 0% to 10%, if a lot of running is going to be done on the treadmill; you will want to look for an incline allotment of up to 12%. If the treadmill declines, look for a decline of up to 3%. This is great for building competitive runners’ leg muscles. Onboard Fans- this could end up being one of your most used features. Having a fan built in to your treadmill keeps you from overheating and allows you the chance to cool off a bit if things get too sweaty. There are a few things you need to remember when it comes to using the treadmill safely. We have outlined them below for your convenience. Keep children off of them – treadmills look like great fun for a child. How cool is it to run in place and not go anywhere, right? But there have been MANY accidents and injuries to children from treadmills and they are all preventable if the children are not allowed to play on them, around them, or be near them while you are using them. Wear walking or running shoes – Don’t use your treadmill barefoot. Aside from not being very good for your joints, it can also result in injury. Wear comfortable clothing – Exercise in sweat pants, shorts, t shirt or any other workout gear you want to wear. Find shoes that offer the kind of support you need. Warm up before working out hard – warm-ups are part of every professional’s workout and it should be no different with you. Warming up prevents injuries so it is worth it to spend the 10-15 minutes to do the warm up job correctly. Once you have read through the guidelines in this guide and know what the different features are and why they are important, you will be able to research the different treadmills and understand what it means and how it performs to have a certain size motor, etc. The more you know about what to look for, the better educated you will be and the easier the choice becomes to find the treadmill that is just perfect for what you and any other users will need it for. At Thoroughly Reviewed we have a big sports & fitness section that reviews weight benches, resistance bands and exercise balls to name a few….